In Kiev and Donetsk, Ukraine, during the Euro 2012 UEFA Championship, the Sharp Company conducted a campaign called “check your knowledge as a football fan”. Sharp is one of the leading designers and producers of LCD TVs, solar panels, and one of the main sponsors of Euro 2012. 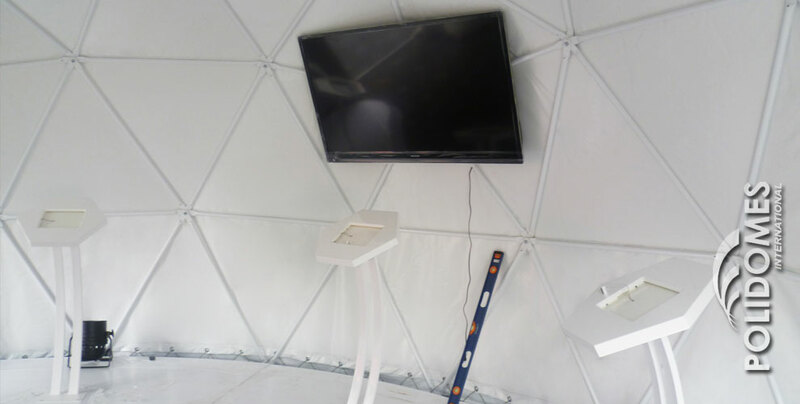 POLIDOMES provided Polidome 50 and Polidome 30 geodesic tents together with modular flooring and a white membrane with the Sharp logo. During the sports event, guests completed a test inside our tent in order to determine what kind of fan they are. The number of possibilities was huge, from an ardent hooligan to a confused fan. The tests were checked and compared with results of other participants from across Europe. 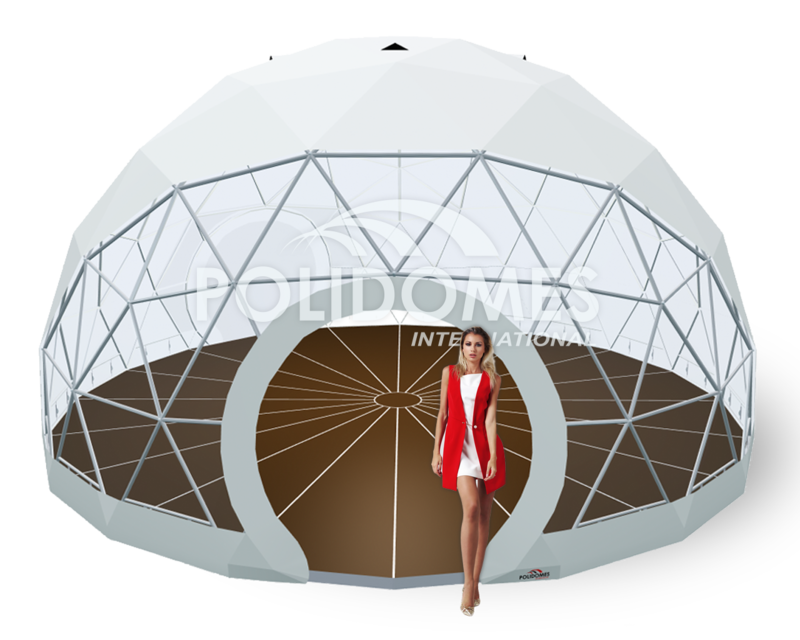 POLIDOMES geodesic tents allow our partners to focus on any promotional concept, ensuring a fully-customized yet temporary space. 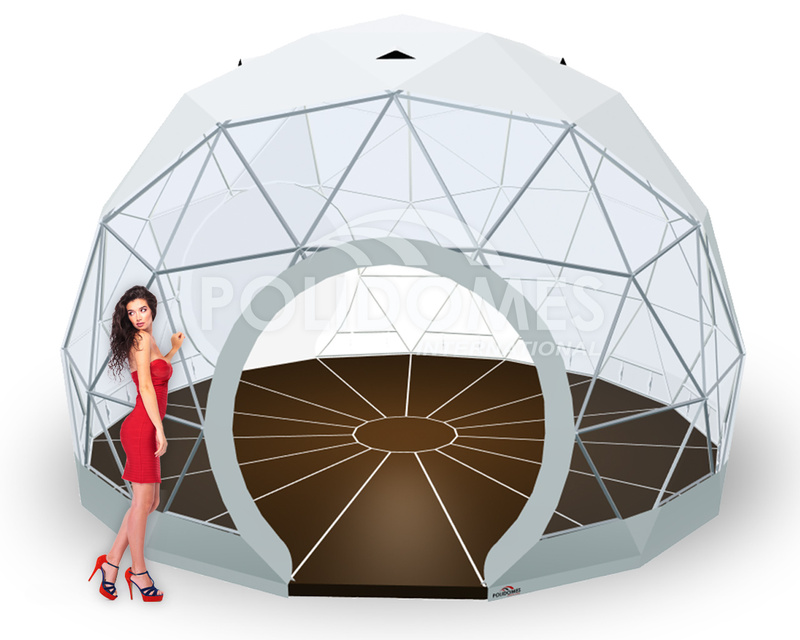 POLIDOMES geo tents are relatively light, portable and they can be installed without the use of heavy equipment, and even electricity. They are waterproof, and protect against UV radiation. Moreover, these tents are extremely durable. We deliver our structures to any corner of the world. We help our customers through the entire order process, from the design and production, through to logistics, installation and service. We care about our clients and our brand. Contact us today!